Panini brings back another brand from years past with Select. I had fond memories of Score Select back in the day. It was a more premium product that offered collectors a sweet design and some awesome inserts. This iteration of Select is very different than its original form. Basketball collectors should be familiar with it though as it was released in last season's basketball products. I'm very interested to see how the hockey version of Select holds up! Panini has been 'on it' when it comes to foil board sports cards. There was a ton of foil used in Prizm, and now Select brings us even more. Each base card is very shiny and fully foiled. Just with a quick glance though, these Select base cards exude more class than their Prizm counterparts. Where the Prizm design is futuristic and sharp, the Select base cards are more rounded and smooth. It's neat to see how Panini is able to give off very different feels within their foiled products. The Select base cards have a frame-like quality to them as it looks as though the player is coming out of a picture frame. The Select logo centered at the bottom of the card looks great, and adds to the appeal of the card. Everything is just the right proportion. I've gotta say that these base cards are very well done. The card back is definitely above average when it comes to Panini backs. They retain the elegance of the front by continuing the framed look. The numbering of the card is perfectly centered, and is placed where a nail would be to hang a picture up on the wall. Panini has wisely chosen to use team color themed backgrounds as a background to the statistics and player information. The entire back is glossy. This is a good effort on Panini's part! The standard rookie cards in Select have a design that is slightly different than the standard base. You'll notice the rookie card logo in the upper right hand corner as well as the word rookie in the bottom portion of the card. The picture frame border also has some tweaks to the design. With all these different elements, you'd think the rookie cards would stand out very well from the rest of the base cards. Well... they don't. I had a hard time differentiating them from the base as I was going through the packs. Even with these differences, they just didn't strike me as that different. The autographed version of the rookie cards do stand out though. Obviously the sticker autograph is a big part of the card, however, these cards are jersey (or even patch) thickness. These girth-y cards are huge! I was surprised to see Panini using a different thickness for the rookie cards. I can't see a great reason for it... but it does make the card more fun and unique. Autograph and memorabilia versions of rookie cards round on the main set of cards. These remind me of Upper Deck's SPx rookie cards, but shinier. The design of these cards is pleasing to the eye, but some collectors (like me) might find the jersey pieces a little boring. 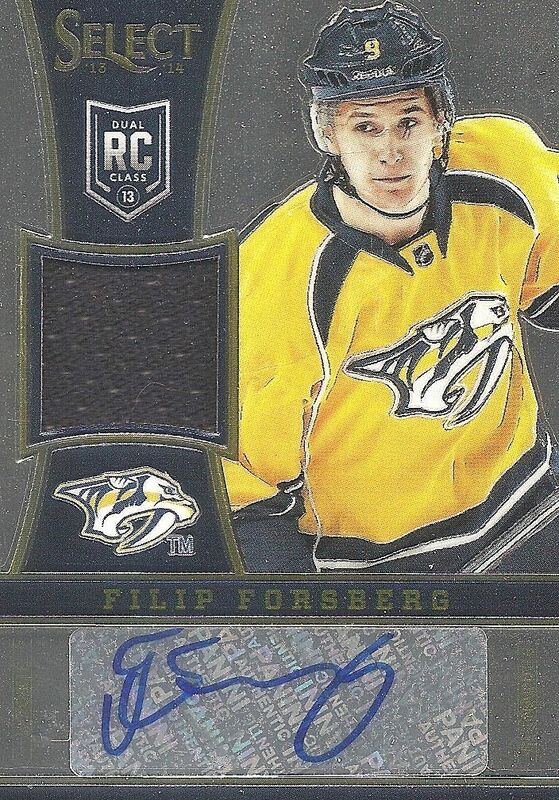 Of course, nice variations of these cards with patch pieces are available for collectors to find. When you buy a box of Select, you are actually getting two mini boxes. I can't see a reason for making this product two 6-box minis rather than just having 12 packs in a box... but hey... whatever floats their boat I guess! Each mini box states that there are two autographs to find in each. A couple of the autographs will be rookies, and veteran autographs should make up the rest. Select also has a number of insert cards available to find in their boxes. The Fire on Ice insert set is probably the best looking and more intricately designed card type. There is a lot going on with these cards with all the etching in the background. The fire theme is a nice contrast to the ice. A blue version of the card is also available. 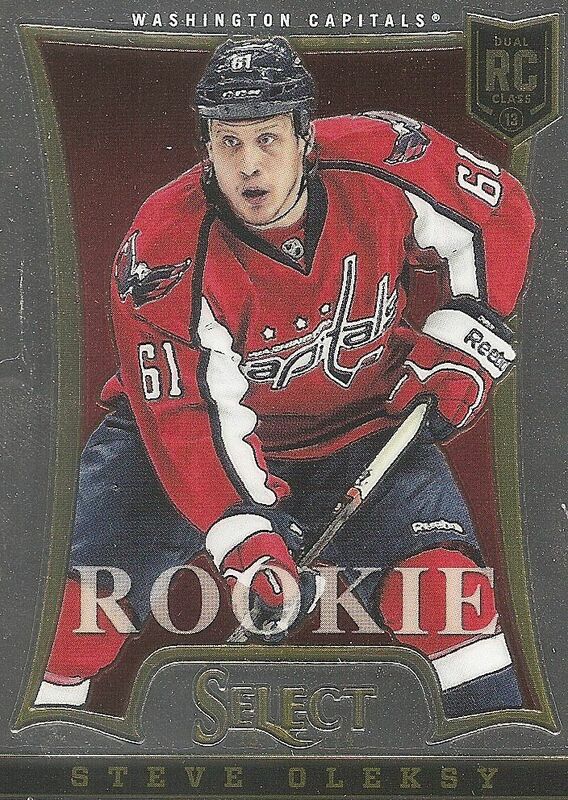 Rookie versions of the Fire on Ice cards will feature the special rookie logo in the corner. I have mixed feelings about this. While I do acknowledge that the rookies are available in the set, the logo could confuse people into thinking that these were actually rookie cards of that player. 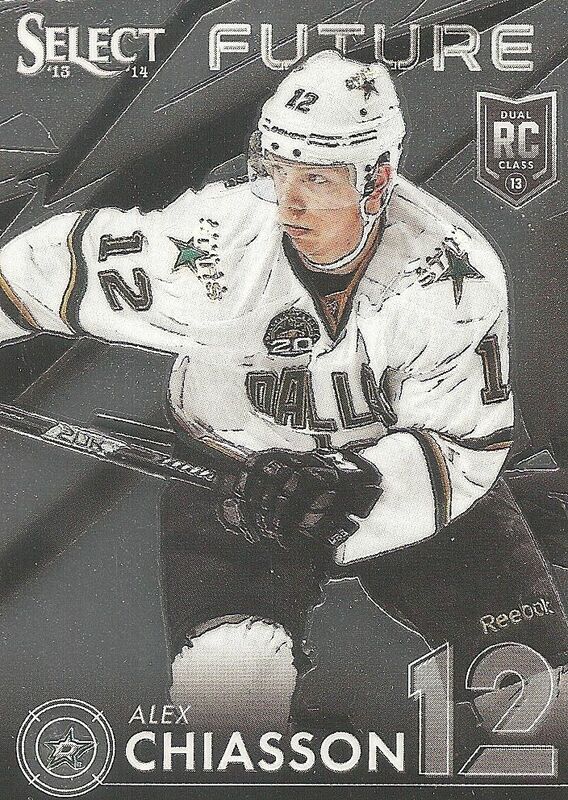 Select Future cards look great, but in a totally different way than the Fire on Ice cards. These cards trade the massive amounts of etching for smoother lines and surfaces. The graphics and logos used on these cards really bring out the 'future' aspect of the Future insert's concept. Cornerstone insert cards celebrate franchise stars that have been with a certain team for a long time. It's a nice set to have in Select since many of the cards focus on the rookies. This set puts the sights squarely on veteran players. It's definitely a nice change of pace, and a great way for player collectors to add more cards to their collection if their guy gets chosen for the set. These cards have a burst background design that puts the focus right on the featured player. It's a superb design that makes use of the foil nicely. Youth Explosion cards steal a bit of the Cornerstone inserts design. These cards still look great though. The Youth Explosion logo at the bottom of the card is pretty creative. It reminds me a bit of the X-Men, which we all know have a school for younger mutants. I could imagine the Youth Explosion logo to be something they would brand on the younger X-Men in training. Select Signature cards are the standard autographed card you'll find in Select. 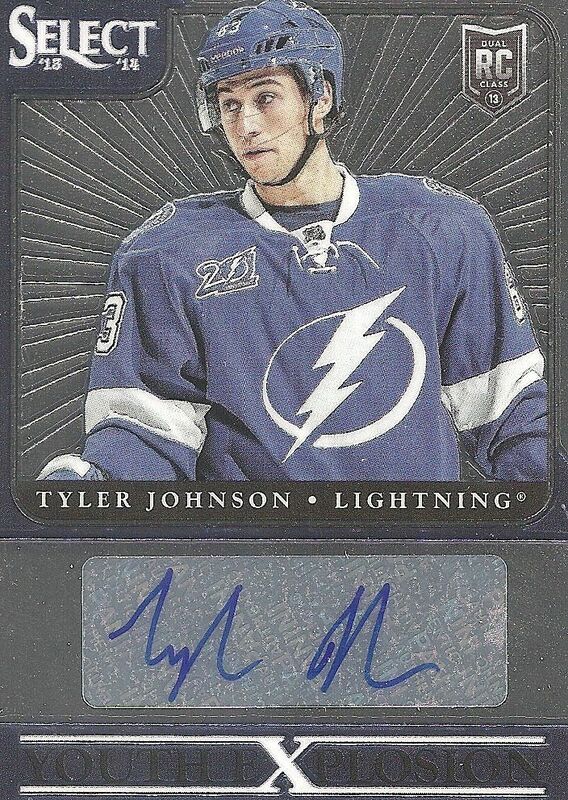 There really isn't much to them - just a standard foil card with a sticker autograph. Like the Youth Explosion, but unlike the rookie autographs in the main set, these Select Signature cards come on standard thickness cards. The main chase in Select will most likely be the autographed rookie cards. Collectors should be excited to find the ones with the nicest patches and premium materials. Other hits can be found as well in Select. The cards I pulled do not show all that Select has to offer. Select is a product that is great fun to open. When you open it, you're feeling like you are getting something special. Maybe it's the fact that you have to open up two mini boxes when you buy a box, but that really does make you anticipate more as the packs finally get ripped open. Each full box of Select will have four autographed cards. These cards may be lone autographs, or they may come with memorabilia pieces. The big draw of this product is that there are a lot of rookies to find here. With a very nice crop of first year players (and holdovers from last year), Select will be a great place to get your hands on some nice upper mid-level rookie cards. The price of Select is a little higher than Prizm, but I have to say, Select is much more fun to open. Select has double the hits Prizm did, and actually has memorabilia to look forward to. 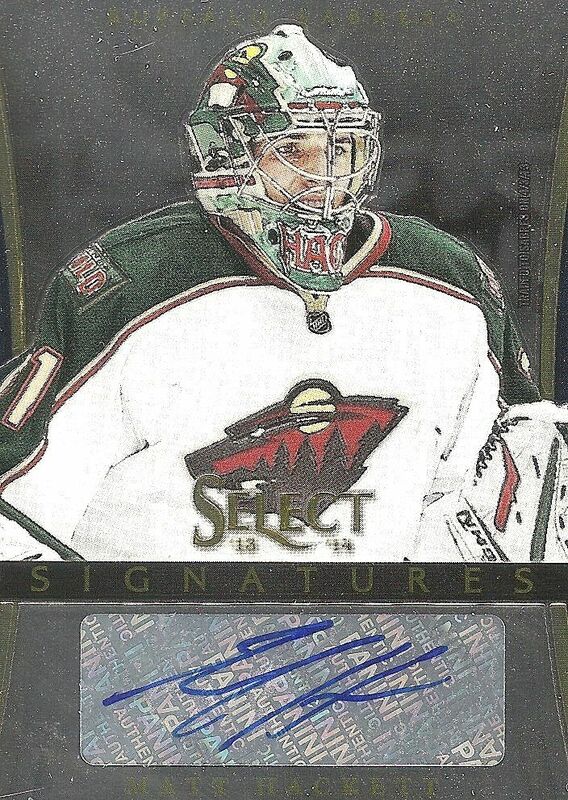 Panini introduces Select at a great time, and I have no problems recommending this product! 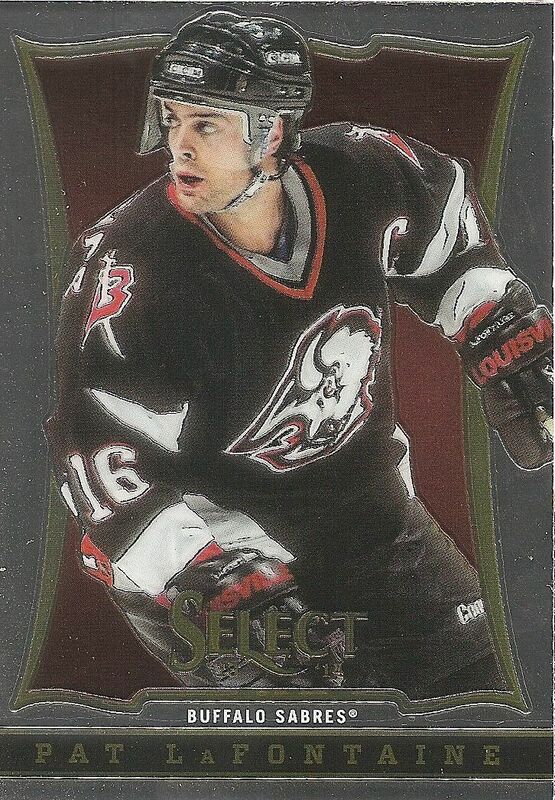 my favourite card design for select is the fire on ice cards. i like how the autos are thick card stock. It's one of the best looking sets that I've seen in a while. 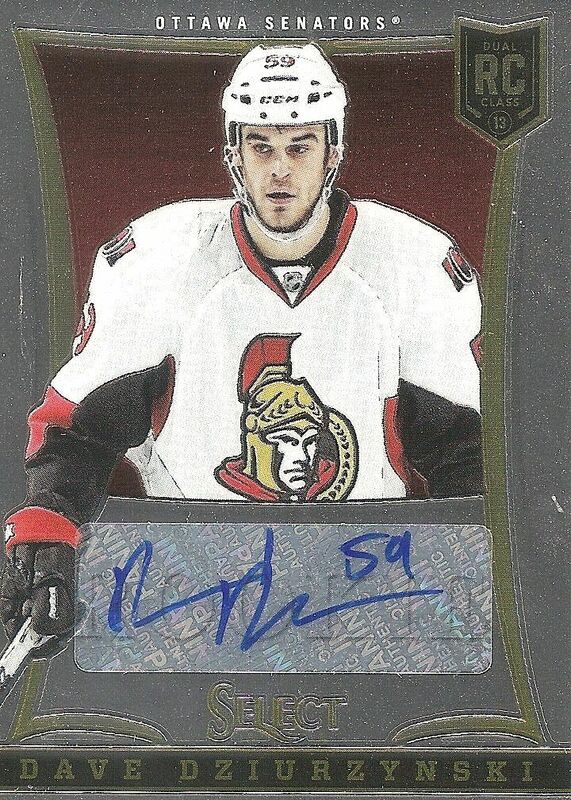 The rookie auto checklist is pretty big though, so your chances of pulling a less valuable card are pretty high. Overall, it's looks sharp and seems like a fun break! Getting a player's auto's is better than jersey pieces I feel. The price is pretty reasonable with Select. I like the variety of hits. An the cards are suuuper shiny. I like shiny things. Busted a box yesterday, and I LOVE IT. I love it so much I want to take it behind a middle school and get it pregnant. And you break was quite different to mine, insert & hit wise. Like cross between Prizm and Topps Chrome/Finest, but classier than the lot. 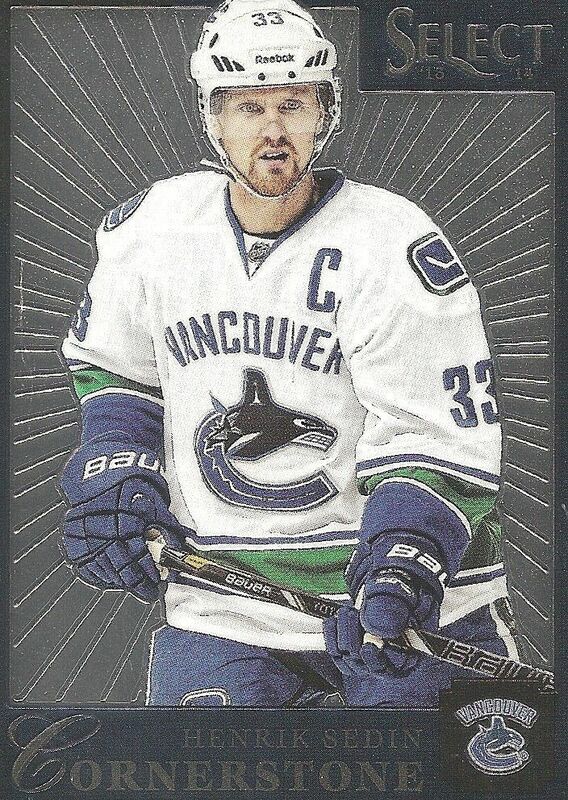 If it weren't for sticker autos (and Schnieder wearing a Canucks sweater on a New Jersey card) it'd be a perfect product. I also liked that the short prints are decently short - my four numbered cards went /399, /99, /25 & /10. Definitely going in for more boxes, might even try to complete the base set. 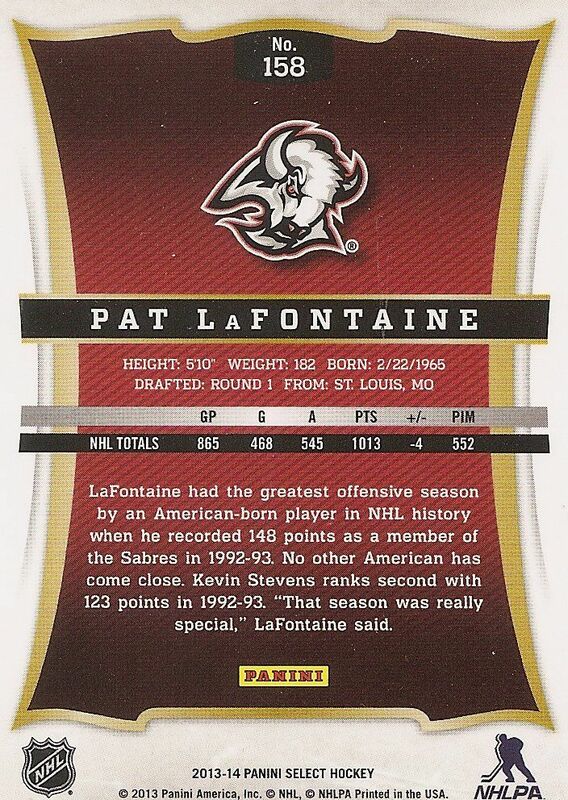 I really think this is up there with the best hockey products of panini. Base design is awesome but the only thing i would've liked to see was on card autos. I think it would've made the autograph cards that much nicer. Wow I'm REALLY considering buying this product. Just imagine pulling a Hertl jersey auto or a monahan patch auto. This product is so cool, I wish I got one at the expo. Hit and Miss product but if you hit big it puts a smile on your face!!! 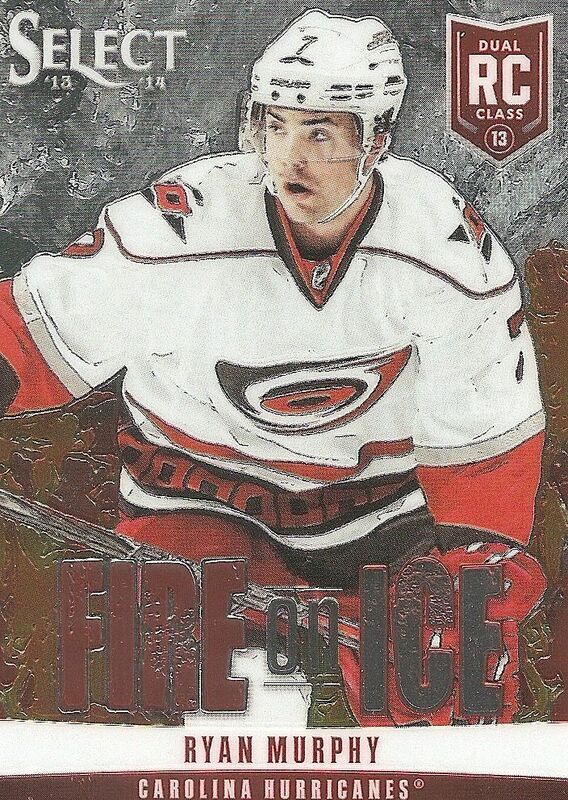 I think the fire on ice cards should have been acetate, the blue would be especially cool! TOO MUCH FOIL! they can have prizm parrelels or whatever, but NOT another prizm. all it is is more variation of types of autos and 1 more auto. I do like how they have many nice inserts though, but that is also similar to prizm. Still really cool though! Nice SELECTion of cards. Panini did pretty good with this release! You did real well with the review! + The Fire on Ice and Select Future insert sets looks great! + The foil is used in a cool way in many of the cards! - The basic rookie autos are thick - that doesn't fit in my auto binder! - The chance to pull an auto from an NHL star is pretty small. One or two sets with on card autos would have been really nice. Sticker autos doesn't really give the foil cards the right appreciation. Solid break man! Good looking stuff. It looks good but it is a little to shinny from me but overall it looks like a pretty good product! Thanks for the Contest! This product looks really nice! Awesome Forserg card! The cards look very nice, probably the nicest base cards I've seen. It's a bit like a mid-range "gambler" product like SP authentic, with much nicer looking cards but with a bigger risk in terms of "hits" and sticker autos. Very nice product, love the look! Another great product. I love the Jersey Autos. The fire on ice insert cards are a nice twist to the master set. Most other inserts are very similar while these stand out. My only complaint and I am sure many others can agree is the Rookie cards and Base cards are way too similar. I would have been nice if they could have done something to make them a bit more different. I really like select. I think that the base cards are designed very well. Also, four hits is pretty good for a mid-range product, especially with this great double rookie class. I like the shiny cards. They look really nice and the autos looks great. Jersey auto would be nice if I can find one of my PC teams. To be honest, i dont really like the base set but the autos are pretty cool i would give 5/10 for the base and 10/10 for the autos! Love this! Its more or less a add on to prizm, I think this maybe quite a bit better then prizm though I love the rookie autos and rookie auto jerseys! I have gotta go buy some of this product while its still hot! Love the review!! I don't really like the back of the bases much. They could improve way much. But a great meanful review for a new product. i bought a box and pulled the black prism, 1of1 rookie Oleksy card! Sounds like some mixed reviews. Im wondering which product to buy and would like some help. Either select, or titanium, or 12/13 rookie anthology or elite and 2011/12 contenders. Which has the best its? Also any other suggestions for around the same price range would be very helpful! Thank you so much!!! Hi Daniel, thanks for the question. Wow, you named quite a few products there. Out of all of these, I would personally go for Titanium as it has a decent amount of good hits available and the chance at a very limited rookie card. Select has been middling so far with collectors and Rookie Anthology is also just a middling product. Elite hasn't traditionally done well with hockey collectors. As for Contenders, many collectors liked it, but each year it has taken a significant price drop after release! Thank you so much! Im a huge fan of your reviews/box breaks!! I can't get enough of them!